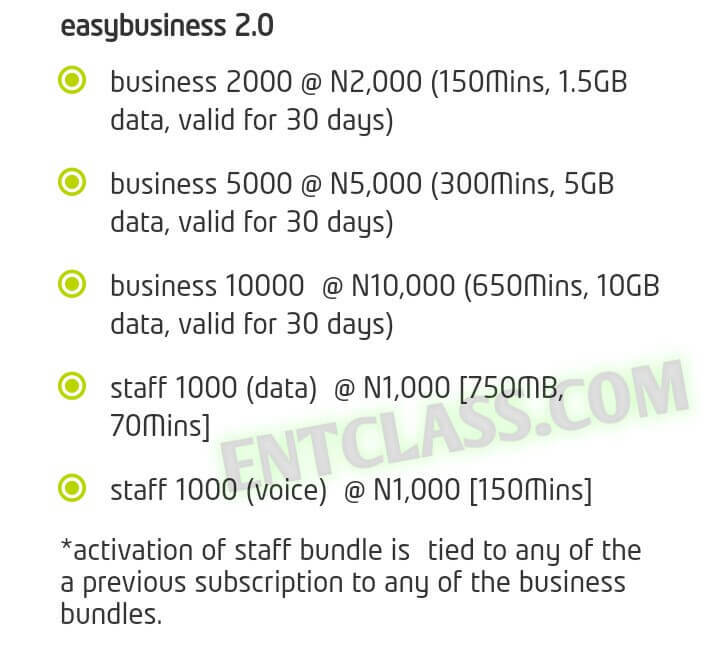 easybusiness 2.0 is made for you and your employees to enjoy flexible and affordable voice & data bundles. It offers an all-in-one solution made to cater for all your business needs. This offer is said to come in different packages, which i will paraphrase below, so you can understand how it works and how to subscribe to it. 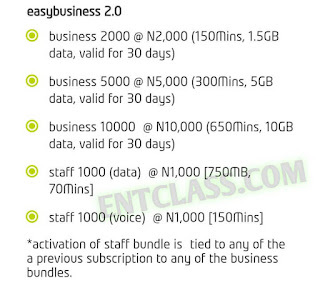 *activation of staff bundle is tied to any of the a previous subscription to any of the business bundles. International call bundle and more. The voice and data bundles offer you the flexibility and eligibility to customise your plans by choosing from an array of add on services currently existing on the etisalat network. Extra cost saving tariff within bundle. Zero-rated access to SME arena website. To activate this plan, kindly dial *200*5#.